German tuner, PPI is again using the Top Marques of Monaco as a showcase for two of their latest creations; the PPI Audi R8 Razor GTR 10 and PPI Audi Q7 ICE GT. The Top Marques of Monaco is a show known to display some of the most over-the-top tuner cars in the world. 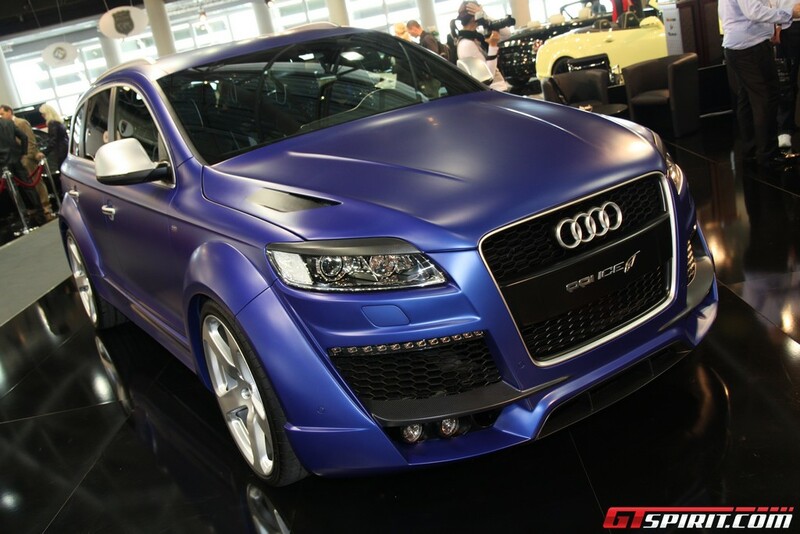 Therefore, it's only fitting that PPI came equipped with these two impeccably crafted Audi creations. 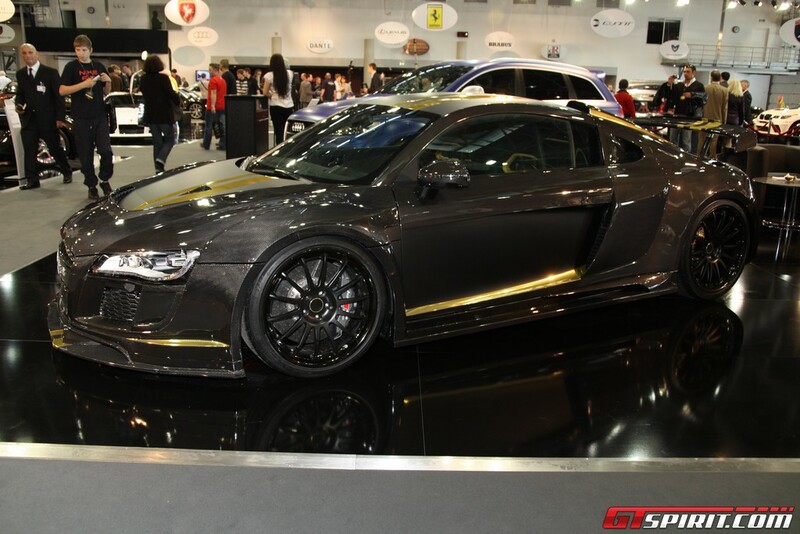 First off, the PPI Audi R8 Razor GTR 10. 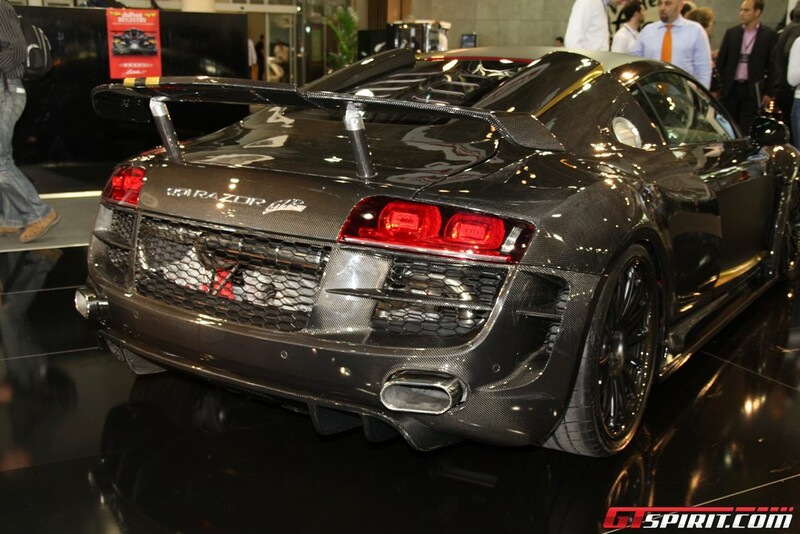 It's name expresses both the car's exclusivity and powerplant with just one number - ten. Unlike the PPI R8 Razor GTR that debuted here last year, the GTR 10 boasts two more cylinders under the hood as this Razor is based upon the Audi R8 5.2 FSI V10. As for exclusivity, you guessed it, only 10 will be produced. The main talking points for the PPI Razor GTR 10 revolve around the car's exterior. 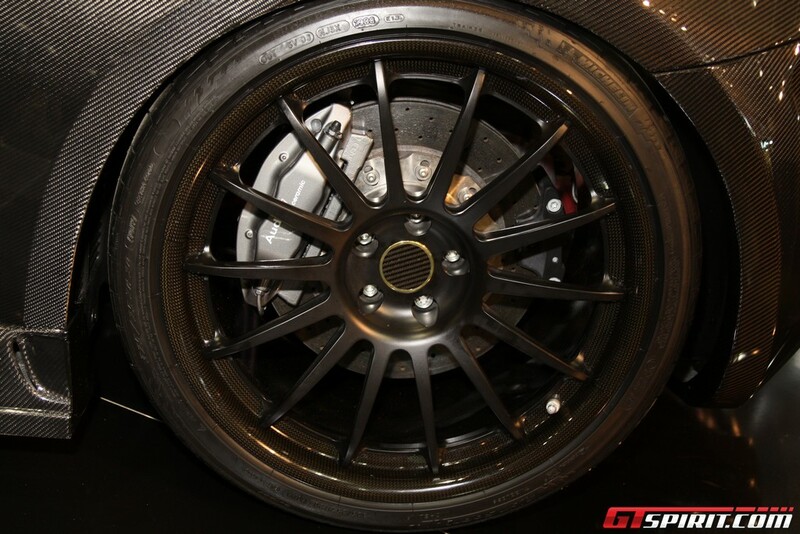 As you may have noticed from the photos, the GTR 10 features nearly a full carbon fiber shell. The front hood, front and rear bumpers, side blades, side skirts, A-pillars, doors and even wheels are all made of carbon fiber. As for engine enhancements, the PPI R8 Razor GTR 10 features a new exhaust system from headers to tips along with a performance air filter. All of which is enough to boost horsepower to 599 hp. 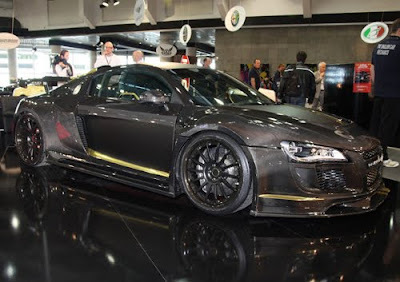 All told, with a price tag of €360.000, the R8 Razor GTR 10 is the most expensive Audi R8 ever built by PPI. 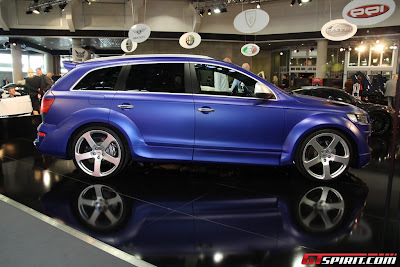 Now on to the PPI Audi Q7 ICE GT. As a testament to the years of PPI tuning, the ICE GT was built to celebrate the company's 5th anniversary. The first thing that caught our eyes was the fantastic color of this Q7. 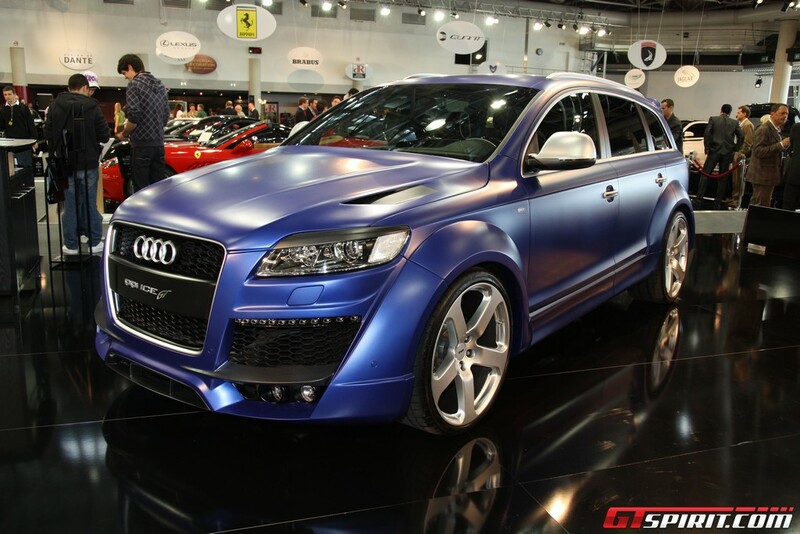 The PPI Q7 ICE GT features a one-off ICE blue matte paint scheme, with matte silver and carbon fiber details. 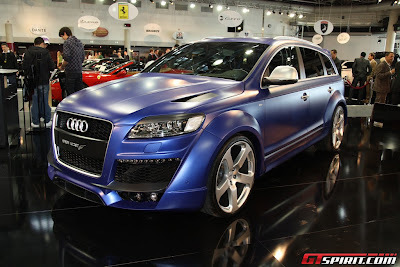 The Q7 ICE GT's body-kit is mainly comprised of an upgraded front and rear fascias, bumpers, hood, fender flares and spoiler - along with the subtle, previously mentioned silver and carbon fiber enhancements. Rounding out the ICE GT's exterior is the choice of 22" or 23" wheels with a full ceramic braking system. Inside, the ICE blue exterior color meets pearl white to create a three-tone interior scheme over black leather. A Nubbuck leather headliner, aluminum pedals and door sills, rear seating entertainment system and even a refrigerator round out the ICE GT's interior upgrades. 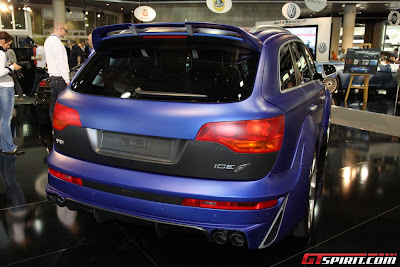 Under the hood, the PPI Q7 ICE GT features either Audi's 6.0-liter V12 diesel or 4.2-liter V8. When equipped with an optional ECU upgrade, the V12 diesel produces up to 885 ft/lbs of torque, helping the ICE GT reach 100 km (62 mph) from a stand-still in just 5.1 seconds. 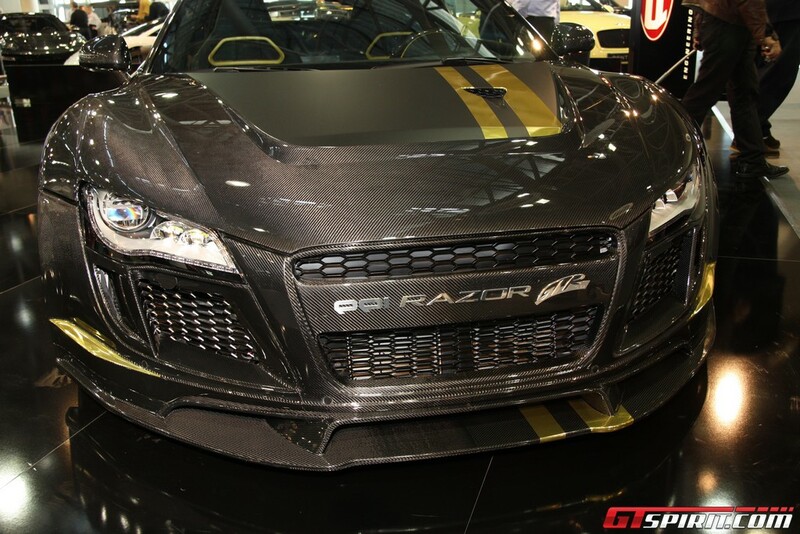 As if the PPI R8 Razor GTR 10 wasn't exclusive enough, only five PPI Q7 ICE GT units will be built at prices ranging from €200.000 and €275.000. We have to thank the crew at GTSpirit.com for the fantastic coverage of the 2010 Top Marques of Monaco. We only posted a few of their photos to get our point across - for full photo galleries and details of the other displays live from Monaco, please visit GTSpirit.com's full coverage of the show.